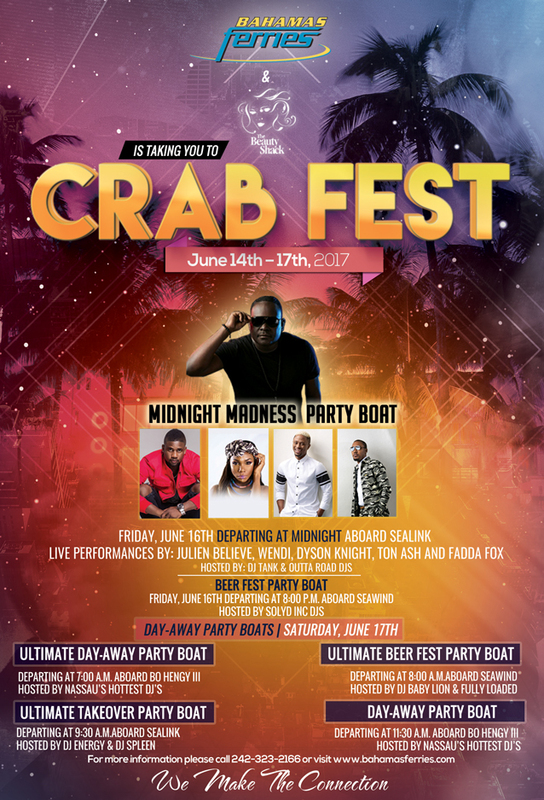 Bahamas Ferries is taking you to the 2017 Crab Fest, June 14th – 17th, 2017. The Midnight Madness Party Boat leaves Friday, June 16th departing at midnight aboard the Sealink. Live performances by: Julien Believe, Wendi, Dyson Knight, Ton Ash and Fadda Fox.